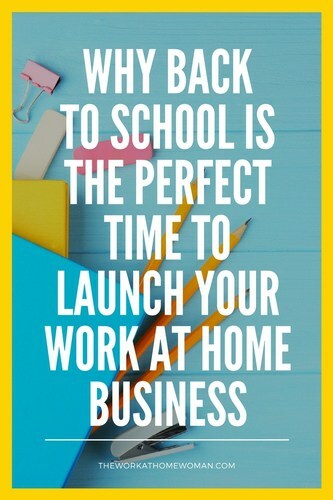 Back to school is the perfect time to launch your work-at-home business. If you've been on the fence about whether to finally make the jump to working from home, there truly is no time like the present. When you think about back to school, what comes to mind? Fall? A new start? Fresh ideas? Note: This post is written primarily for mothers with school-aged children who are headed off to school, but there are also valuable tips to help any work-at-home woman. 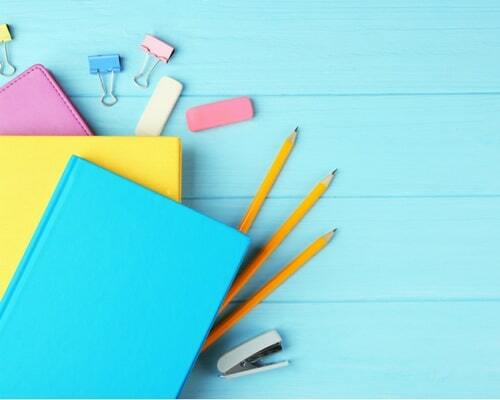 Here are five reasons why back to school season is ideal for launching your entrepreneurial wings. I don't know about you, but at our house summertime means a very laid back schedule. It's perfect for enjoying lots of family time, but not so great for getting any work done. When the kids go back to school, we're forced to get on a better schedule. No more everyone staying up late and sleeping in. You know when the kids need to be up, ready, and out the door. It makes it easier to get yourself on schedule at the same time. Getting yourself up, dressed, and ready to tackle the day means you'll have more time for work. Note I said uninterrupted! One of the biggest challenges of summer is even if you do manage to carve out work time, there are always distractions. The kids want to go to the park, to the pool, or to have their third snack of the day (please tell me I'm not alone here!). While we love doing these things with our kids, sometimes they don't realize that we can't always drop everything and cater to what they want to do right now. Once they are back in school, you'll have that solid chunk of time every day to focus on your work—and only your work. Maybe your kids are in after-school sports or clubs. For many moms, that gives us more free time to work on our business. Even if you attend practices, you can work online from your smartphone or tablet. When the kids are working on their homework is a fantastic time to work on your business. Sit at the table and have them work beside you. They'll love the company as much as you do; I'm sure! And of course, early bedtime is perfect for fitting in a couple of extra hours of work. For many moms, when the kids go back to school they are left with more time and a desire to do something for themselves, as well as earn an income. That makes fall the perfect time to introduce them to a new work-at-home business. Especially if you're in direct sales as in most companies, you earn more when you sign up and recruit new members. Interested in direct sales but not sure where to start? Check out this huge list of direct sales business ideas! Or you can launch an online boutique where you sell other people's products. Either way, the holidays mean people are shopping and looking for things to buy. Are you thinking about launching your work-at-home business this back to school season? Let us know in the comments; we'd love to hear about your plans! Kimi Clark is a career stay at home mom turned writer and blogger for hire with a passion for business. She specializes in posts about writing, blogging, and entrepreneurship, as well as all things parenting and motherhood. Owner & Founder of The Mom Shopping Network, she helps moms find great tips, amazing products, money saving deals, fun entertainment and what's trendy and hip for moms, dads, and kids! A devoted wife and mother of four, she loves the beach and NEEDS her early morning coffee.